Let us help. Call or visit us today for a free consultation. 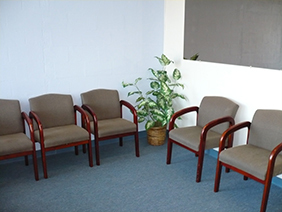 At the Acupuncture & Pain Management Center, we combine knowledge of medicine with eastern healing techniques. With over 20 years of experience in the Central Florida area alone, we know our community and we're here to help. Our 2 locations serve both Volusia County and Flagler County, primarily encompassing the greater Daytona Beach area. Dr. Hu or Dr. Li our licensed acupuncture physicians, meet with each patient individually to personalize a treatment plan. We discuss the patient's condition, explain the procedure, and administer acupuncture over multiple treatments to ensure that the procedure is effective. Dr. Hu is a Doctor of Oriental Medicine who completed his training at the Shanghai University of Traditional Chinese Medicine in China. 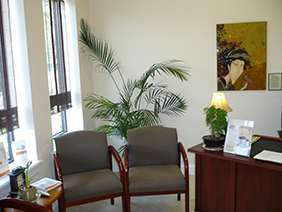 He has been an acupuncture physician for more than 30 years and has been practicing in the Central Florida area since 1993. 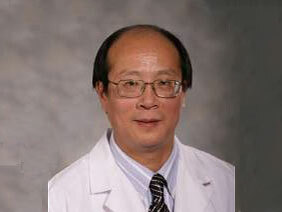 He was dean and professor of TCM from 1993-1997 at the National Institute of Oriental Medicine in Orlando. Dr. Hu integrates eastern and western medical knowledge, using needle and no-needle electrical acupuncture and Chinese herbal medicine to treat chronic and complex cases. He has written and co-authored many articles and books and has also had life-long training and teaching in Tai Chi, Qi Gong, and Chinese Kung-Fu. Dr. Li, a Doctor of Oriental Medicine, studied TCM at the Liao Ning University in China. 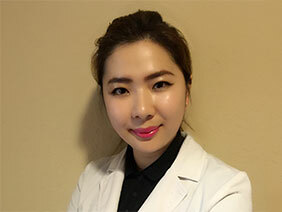 Dr. Li practiced as an intern at the TCM Hospital in Dalian City, China, where she focused on Neurology and Gynecology. She then studied at the Florida School of Integrative Medicine and received her Bachelor Degree in Professional Health Studies and her Master of Science Degree in Oriental Medicine in June 2014. 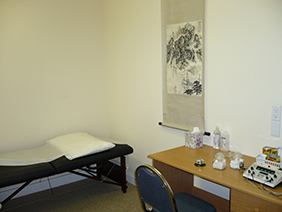 Dr. Li joined the Acupuncture & Pain Management Center in July 2014. Acupuncture is powerful medicine which aids in strengthening the immune system and prevents disease, controls pain, and increases the quality of people's lives. 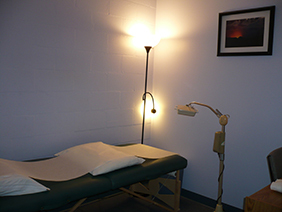 Acupuncture is a well developed whole health care system based on natural energetic laws. Dating back over 3,000 years as a primary health care system in China, acupuncture is widespread in Asia, Europe, and now the U.S.
As a system of medicine it uses natural laws and energetics with the application of needles and pressure to specific "points" on the body. These points are grouped along certain pathways or meridians that cross the body. As long as the energy flows freely through these pathways, health is maintained. When the flow of energy is either absent, deficient, interrupted, excessive or blocked in an area, health is disrupted, resulting in illness or pain. By stimulating appropriate acupuncture points along these meridians, the energy is released and regulated, and health is restored. Studies indicate that acupuncture influences the central and peripheral nervous system. Evidence shows it releases endorphins from the brain which make acupuncture particularly effective in pain control. Acupuncture primarily affects sugar, cholesterol, and triglyceride levels in the blood, the functioning of the gastrointestinal system, and the activity of the endocrine system. Alongside acupuncture, Dr. Hu also practices herbal medicine. Herbal medicine is the main treatment method within traditional Chinese medicine (TCM). TCM is the world's oldest continually practiced professional medicine. Its written history stretches back over 2,500 years and its practice probably much longer than that. It utilizes naturally available herbs from our living environment to treat dysfunctions and diseases, rather than synthesize from chemicals. This keeps side effects at the bare minimum. Chinese herbal medicine is based on a highly developed integrative approach to diagnose and treat medical conditions. All the diagnoses are made from the subtle signs and symptoms your body reveals. Dr. Hu will feel the subtle variations in the pulse in your wrist to determine how each organ in your body is functioning. The sound of your voice, the condition and appearance of your tongue, face and skin, and your emotions are all important indicators of your condition. Herbs will be formulated according to your diagnosis specifically. The acupuncture was extremely helpful. One treatment made 1,000% difference. Before I came for treatment I could not stand straight and could hardly walk. Now I can walk and move around without pain. I was diagnosed with osteo-arthritis 10 years ago, and was in constant pain for the last 2 years. Before I came to Dr. Hu the pain was excruciating. After my first treatment with him I left feeling better and slept through the night that evening. This is the first time I have actually had relief of my pain in 2 years! I tore the tendon of my left foot at the heel. When I came to Dr. Hu about 6 months after having unsuccessful cortisone treatments, my pain was 100 on a scale of 1-10! Before my acupuncture treatments I could barely walk. Now I walk briskly. I am now 90% better. I was facing surgery and Dr. Hu turned this around for me. After Dr. Hu put the needles in I had no pain! I could not believe it... no pain at all. When I came into Dr. Hu's, the pain was a 10 on a scale of 1-10, when I left it was a 0. This Dr. Hu created a miracle -- he has helped me so much. I had constant pain in my left hip, thigh and calf for sixteen months. I tried everything I could think of. When I found Dr. Hu, I began to have relief from the first week on. After 10 visits I have no pain. I am very grateful. My first experience with this type of procedure was great. I never expected the results that I got after the first treatment. I highly recommend Dr. Hu and his experience to others.